My 12 year old daughter wanted to make a Dolls Wardrobe for her little sisters dolls clothes. She made a really good one from just an old shoe box! 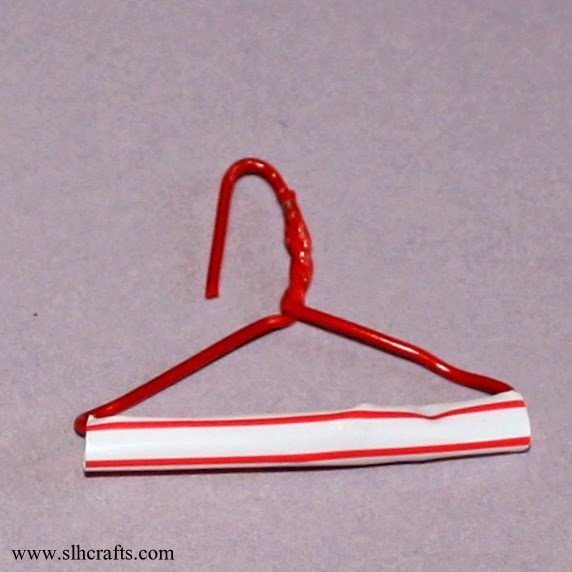 However she needed some miniature clothes hangers to put into the wardrobe. That part of the task was put down to me! 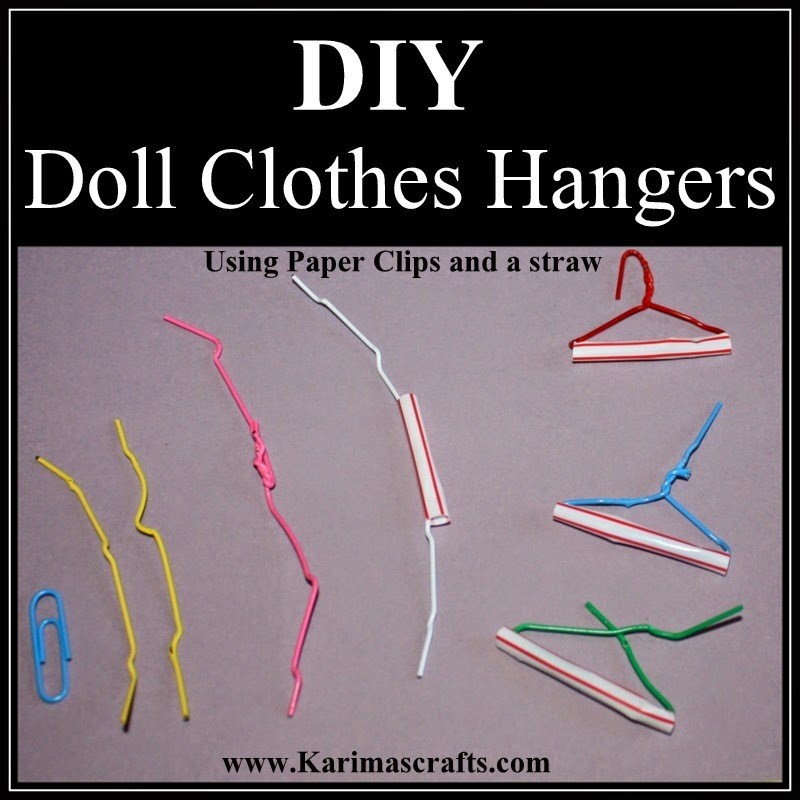 Here is how I made these from 2 paper clips and part of a drinking straw. cut off part of a drinking straw. Step 1: Using small pliers/or jewellery making tools open up 2 paper clips. Step 2: Attach the two coat hangers together, twisting to secure to make one long piece with the tool. Step 3: Cut off a small piece of straw and insert the wire into the straw. Step 4: Make sure one end is longer than the other and then bend the wire (using pliers) into a clothes hanger shape - look at the main photograph which shows the steps to do this.